Omaha-metro politicians had to get in line Tuesday morning to cast their ballots. Gov. Pete Ricketts waited about 20 to 25 minutes to cast his vote near UNO this morning, and Rep. Don Bacon, voting in Papillion, joined other local voters to make their midterm Election Day picks. Last week, election officials in Douglas and Sarpy counties were predicting high voter turnout for this election, though a UNO study says final numbers could be affected by the turnout among younger voters . We want to see the lines — or lack thereof — that you're encountering at your polling place. Tag us in (or email us) your photos. And definitely let us know if you encounter any issues at your voting location. 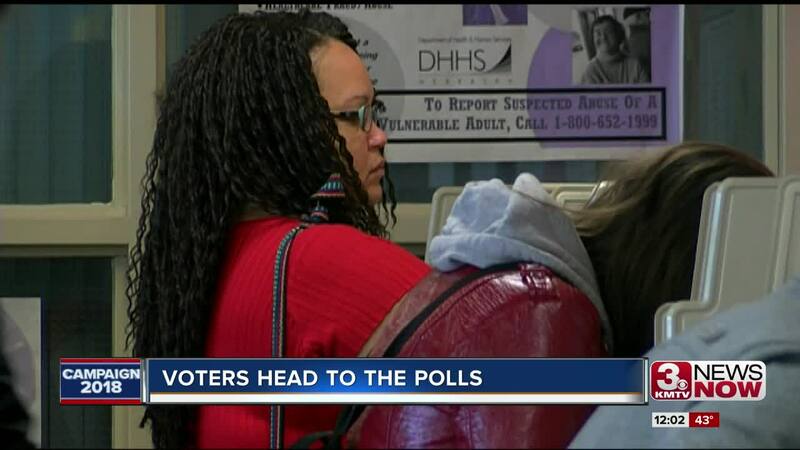 Email news@3newsnow.com about any Election Day voter issues. Email us your photos to pics@3newsnow.com . Stay with 3 News Now for more updates throughout the day.